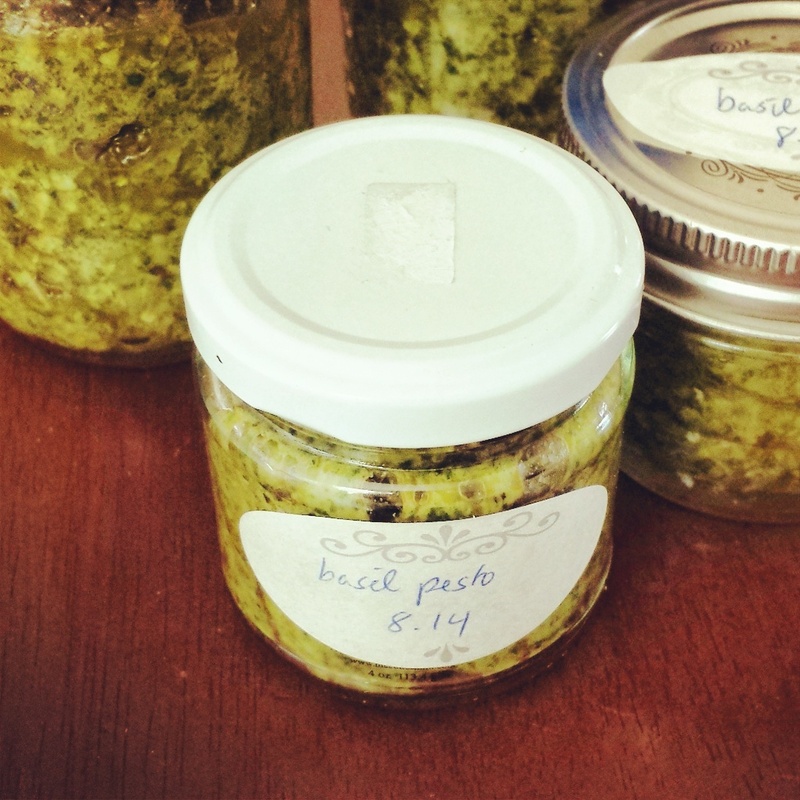 A word about pesto… The quintessential summer goo, the ultimate topping for all things savory. There is nothing that isn’t made better with a dollop of pesto, except maybe ice cream. 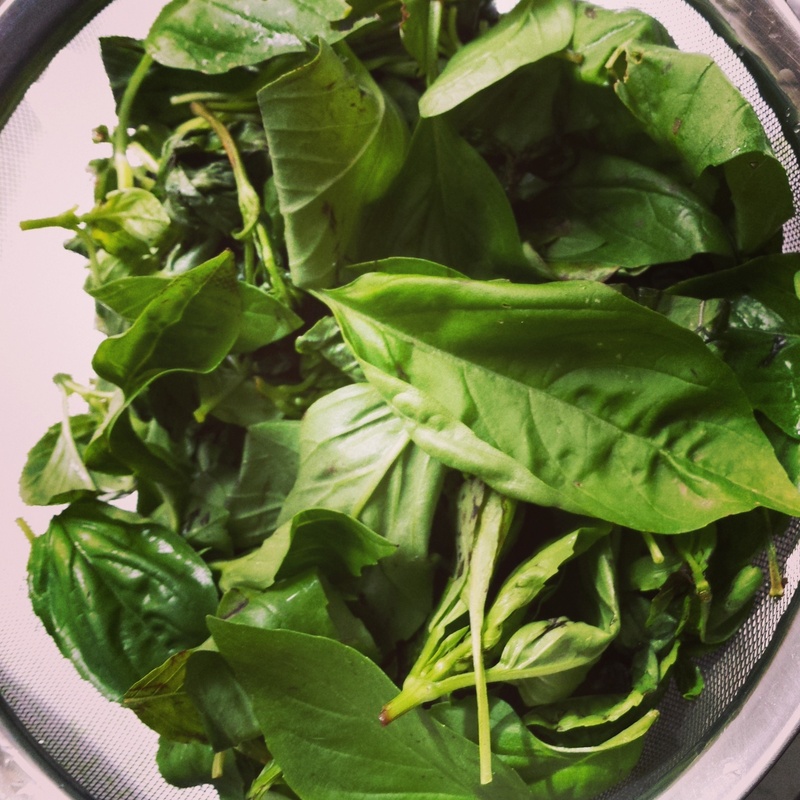 I made my own pesto for years, by the deep freezer-full, every summer. Why, back in the day when all 12 kids lived at home, I made pesto from sun up till sun down, only stopping to kill chickens. I grew the basil from seed, harvested the pine nuts from the Christmas tree, stole the garlic, milked the Parmesan cow and rendered the olives. Actually, what I did was pre-order a bag of fresh basil from Joe’s Garden. While waiting for the call, I headed to Costco for the 2-pack of their cheapest olive oil, a jar of pre-peeled garlic, plenty of Parmesan cheese and a couple bags of pine nuts. It was not an inexpensive venture. Went the cheaper, sunflower seed route here, and it’s lovely. When the basil order was ready, they handed over a brown paper grocery bag stuffed full of basil leaves, picked only moments before. The smell is like none other. Cram all ingredients except the olive oil into food processor and turn it on. Slowly drizzle the oil into the mix through the tube thing until blended. Scrape out into a canning jar and freeze (or refrigerate). Frozen pesto was my go-to fast food for a long time. It thaws quickly and one jar is just enough for one bag of pasta. You can toss in some grilled chicken or fish, if you like. That was dinner more times than anyone can remember. 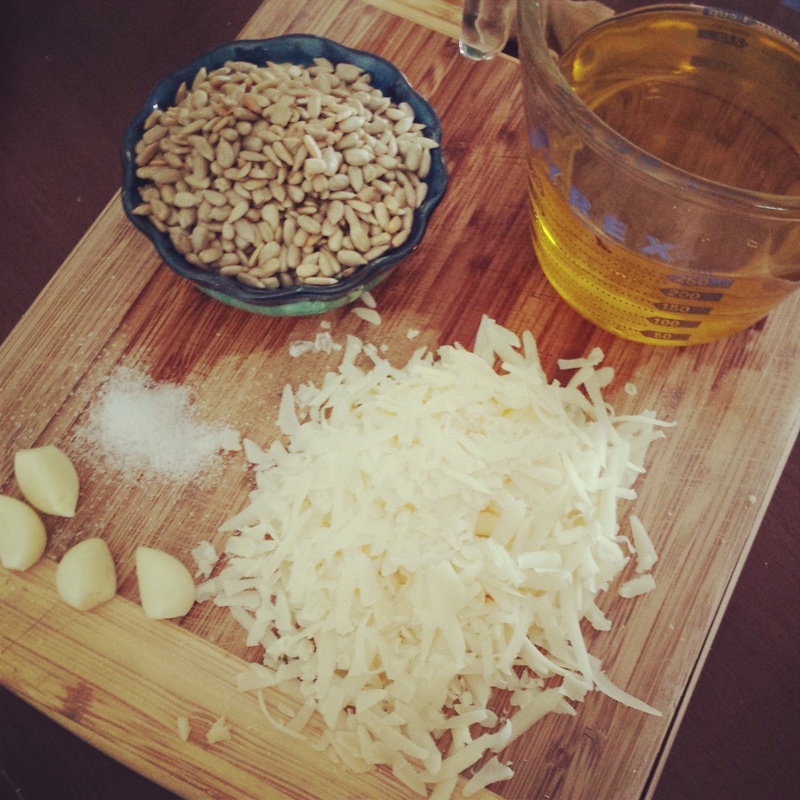 One summer, when money was pretty tight, I substituted sunflower seeds (toasted, unsalted) for the pine nuts and cheap Parmesan for the good stuff. No one noticed. 20 Aug	This entry was published on August 20, 2014 at 6:49 pm and is filed under Collection. Bookmark the permalink. Follow any comments here with the RSS feed for this post.